This entry was posted in Blog, Uncategorized on July 15, 2016 by admin. This entry was posted in Blog and tagged Audio visual production, jumbotron rental (sacramento chico, sound production, stage lighting, stage lighting services on July 1, 2016 by admin. This entry was posted in Blog and tagged Audio visual production, jumbotron rental (sacramento chico, lighting production, redding, roseville), sound production on May 20, 2016 by admin. At Tolar AVL we have the audiovisual equipment you need for the ultimate benefit or fundraiser. Here are some of the services we can offer your organization. For very large events where you want to make a big impact, we have Jumbotrons. Our skilled techs can set up and display any images or videos you want your guests to see. If you are planning an event where you want to have a variety of activities, then consider karaoke to get the party going. We have a full range of karaoke equipment. You can even have multiple sets so children can have their own karaoke competition! Sometimes it may be desirable to have a video of your event to review for future fundraisers or send out to potential donors to show more about your cause. We can create a professionally edited video that you will love. When you want to add contrast or emphasis, lighting is the answer. No matter what type of atmosphere you want to convey for your event, there is lighting that can achieve it. Tolar would be happy to consult with you to make sure that the lighting production is done exactly how you want it. It is critical that everyone be able to hear the music, speeches, and other sounds at an event. 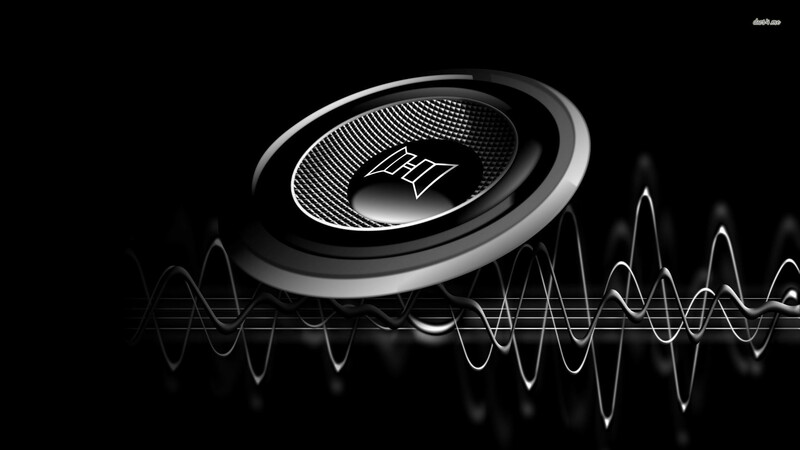 A professional sound system will ensure that no one is left out of the action. From large concert fundraisers to ballrooms, Tolar has the equipment you need to have a stunning fundraiser and achieve your goals. Good sound production will make your event more memorable. All fundraisers have specific goals. At Tolar AVL we want to hear about your goals and help make them happen. Contact us today to get started planning your successful fundraiser. This entry was posted in Blog and tagged Audio visual production, jumbotron rental (sacramento chico, lighting production, redding, roseville), sound production on May 6, 2016 by admin. Your wedding is one of the most important events in your life so why not give it the attention and remembrance it deserves by having video production at your wedding? Here are some of the many other reasons you need a good wedding video. As nice as it would be for everyone that you want to be there to be able to make it to your wedding if you are like many people, this is just not possible. Elderly relatives that cannot travel or friends that simply cannot get away can be given a copy of the video and not feel as left out of your big day. Your wedding day is a busy time. If you have a large wedding, it can be hard to talk and spend time with everyone. A video production team can video your guests and capture their messages to you and your future spouse. This can be a fun thing to view after the wedding and help everyone get a chance to express themselves. The type of equipment used to create a great audiovisual production is a lot different than your consumer-grade digital camera. Stage lighting and lighting rentals can all be achieved by simply hiring a professional firm like Tolar. We can even supply Jumbotron rentals for large events and gatherings. Let’s face it; a wedding is a gathering of all types of people. There may be moments that don’t need to be on a video. Tolar has years of editing experience to make sure your video is polished and contains the most important moments of your wedding day. We can work with you to create the video you want. Perhaps you want to show guests specific videos and photos to celebrate your union? Tolar can set up high-quality visual displays to meet your every desire. 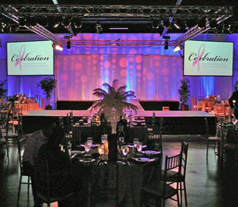 We have Jumbotrons and screens that are as large as 9 x 12 feet! Our large selection of equipment means when you hire us you are getting a true group of professionals that have everything needed to create the audiovisual presentation and video that you want for your special day. When it comes to hosting an event, many people worry about making sure they have the right equipment to make it happen. Sometimes people will use what they have, or create makeshift parts as a substitute for pieces that they don’t have. This is where the big question comes in: Should I buy or rent audio-visual equipment? From our experience, renting proves to be far more beneficial to an average consumer or event coordinator. 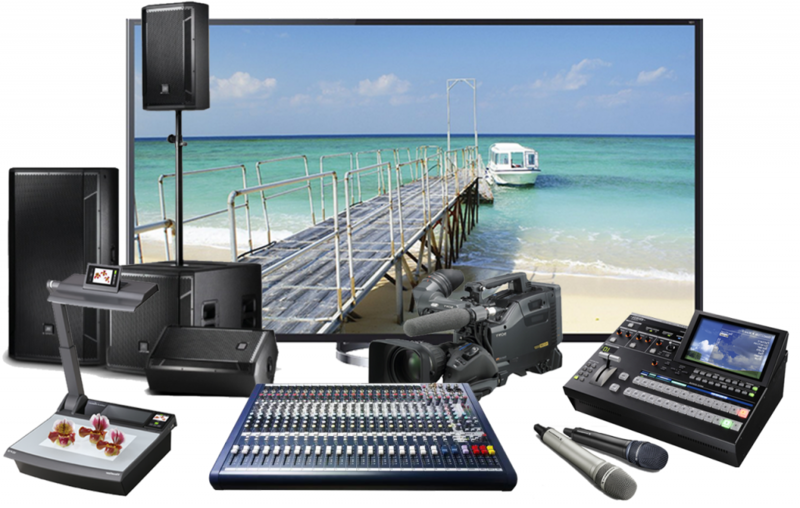 Renting audio-visual equipment opens you to a world of options. You should never be limited to the equipment you use to make your event come alive which is why renting proves to be more reliable. In terms of spending, purchasing lighting, audio and visual equipment can come at a high cost. This is why renting proves to be the best decision when it comes down to acquiring equipment. Rental equipment allows you to use high-end gear of all sizes for a limited-time low cost. Essentially, you get to use the industry’s best equipment while spending a fraction of the price of their original costs. We see this as one of the more critical factors due to the fact that it enables you to spend money on other areas of the event. Having the proper equipment is just the first step in hosting a successful event. What comes next is making sure your equipment arrives at your destination on time and in one-piece. Transporting your equipment should be marked high on your priority list. 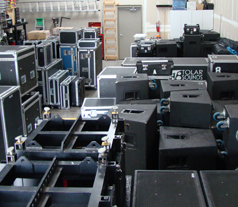 Late arriving or damaged equipment can result in a delay or even cancelation of the event. Rental equipment typically comes with the proper transportation equipment and is always ready for pick-up; crossing off 2 worries that may come up during the setup of your event. One of the golden perks of renting equipment is being worry-free in terms of the maintenance of the equipment. Maintenance of expensive equipment pieces can run you up a couple hundred or even thousands of dollars in additional fees. When renting, the lending company handles all the maintenance of their equipment which ensures top-notch quality. 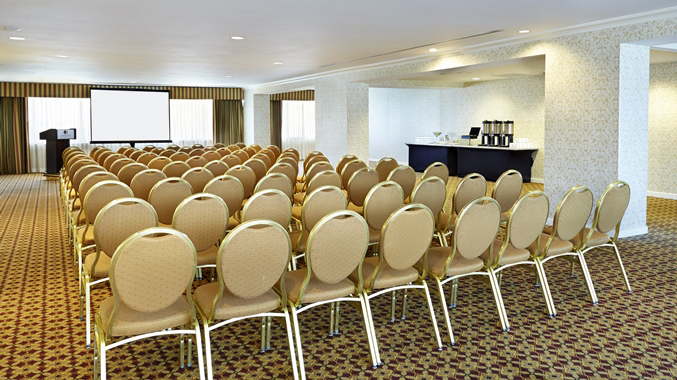 Overall, renting equipment simply eliminates any inconveniences that may come your way when hosting an event. For professional production services in Northern California, look no further than Tolar AVL. We are the premiere production and audio/video service in Redding, Chico, San Francisco and Sacramento. Give us a call today at 530-342-8860! Any audio-visual production or sound production should have good lighting production as part of the game plan. 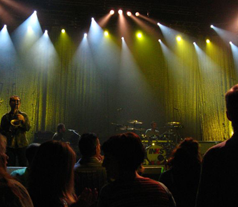 Here are the advantages of great stage lighting during a production. Perhaps you want to highlight an architectural feature or a piece of art work? Lighting can draw the eye of your audience exactly where you want it. Lighting can direct your audience, so they see things the way you intend them to. The type of lighting in a space sets the mood for everyone exposed to it. For example, a high energy dance scene may make use of a multitude of bright or flashing lights on the walls and ceiling of a venue, but a subtler spotlight might be used for the main performer in order to emphasize their role in the production. Different colors of light can be used to enhance emotional aspects of performance. Blue could mean sadness while a haze of green can signify jealousy. Shadows and drama can be created for tense moments. 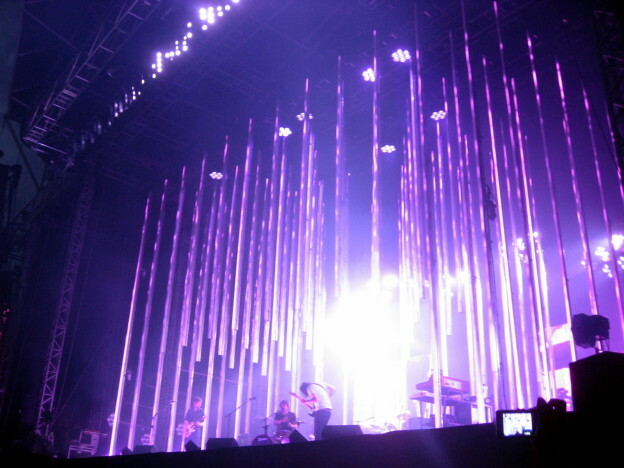 Lighting can help a stage production seem like it is raining, storming, or other effects. The illusions created by a good lighting production can add a lot to the believability of a production. A flashing light can make it seem like you are in the middle of a hurricane or thunderstorm. Contrast is important when it comes to lighting on a stage. Darkening areas of the stage and spotlighting others adds emphasis to key areas at precise times during the production. 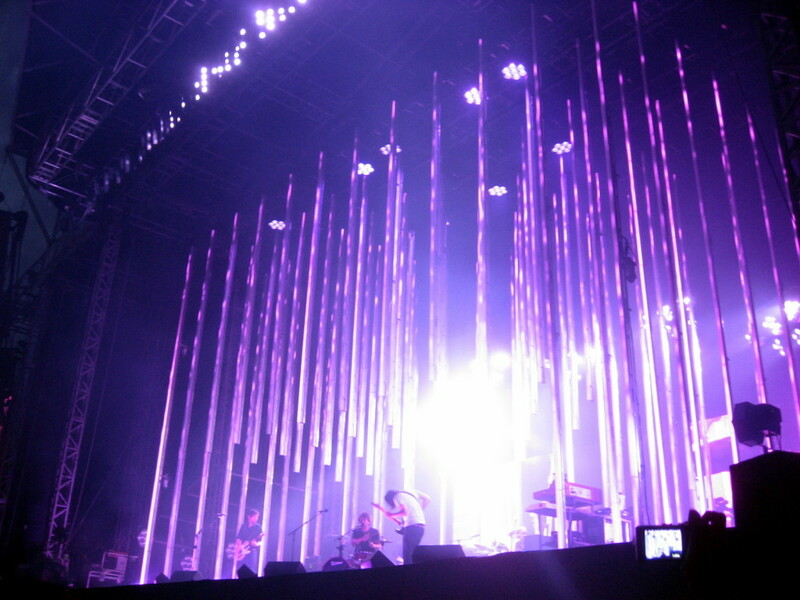 Lighting can be synchronized or designed to enhance the sound experience. This is used by professional musicians all the time. This combined effect makes for a captivated audience that will be sure to tell their friends and family about the amazing stage production they experienced. Experience is important when it comes to great lighting production. Having the right equipment is also essential to the job. When you hire Tolar AVL, you will get the most skilled lighting production team available in northern California. We also offer complete packages that include DJs and licensed music. A production company can take your project or event and turn it into something that is stress-free and fun for you. No matter what size of stage production you have in mind, we can help. Chances are you have heard the blood-curdling or gut wrenching screech that takes place when the microphone is not connected the right way to a speaker, or if it is connected to the wrong speaker. This horrible sound, as well as a number of other audio malfunctions, has the ability to completely ruin an otherwise perfect event. 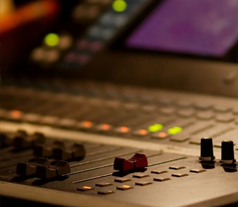 Avoiding these errors requires some diligence and a quality professional sound and audio team. This is the only way to ensure these issues do not arise. Height of the ceiling: High ceilings amplify sound; however, this is not always desirable for the event. Be sure to take note of what needs to be done to minimize the potential of unwanted echoes. Texture of the walls: Sound can travel quickly through solids. If the venue has marble or glass walls, then standard systems should be sufficient; however, for outdoor events, consider a system that is strong enough to travel over wide and open spaces. Once you have taken the location of the event into consideration, it is important to think about the event’s purpose. Different speakers will work for different types of events. 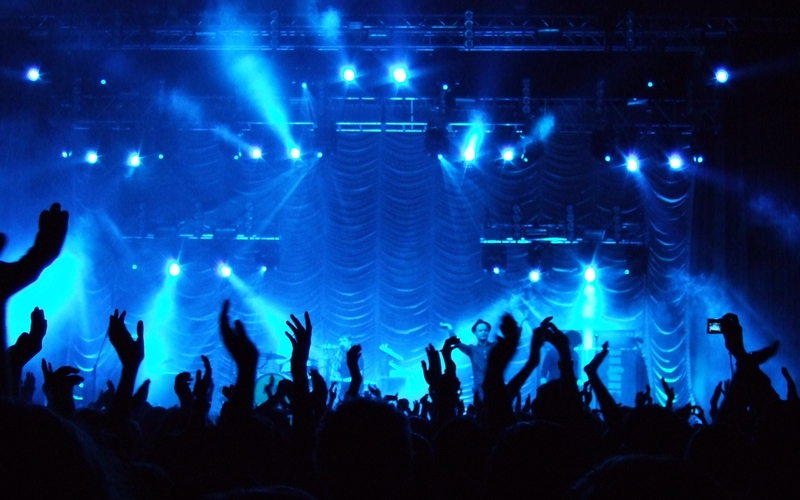 For example, rock concerts and press releases will not require the same type of speaker. Be sure that you determine the type and location of speakers carefully to achieve the sound that is wanted. In some cases, utilizing the services of a technology management team can be beneficial. The bottom line is that you need to be able to evenly distribute the sound around the room. You don’t what it to be too loud in one section, while the people in another are straining to hear what is going on. Take steps to spread the sound out, especially if the venue is larger and going to be crowded with people. In some cases, it may be a good idea to use stacked speakers to provide better coverage for the space. 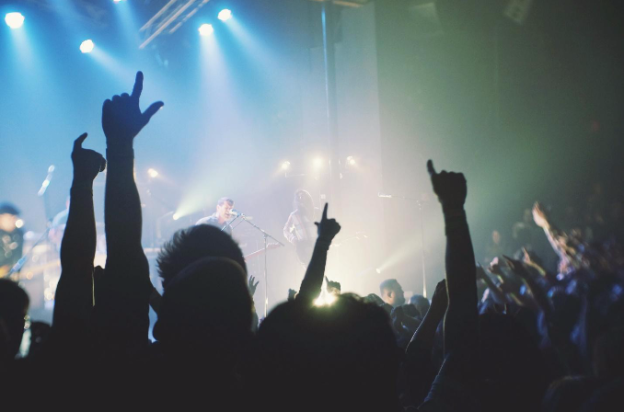 Taking the time to consider these factors will help you achieve quality sound for your event. This entry was posted in Blog and tagged professional sound and audio on February 26, 2016 by admin.